Paul focuses his practice on the representation of major nonprofit corporations, foundations, and tax-exempt organizations, as well as both acting as a fiduciary and advising fiduciaries, individuals, families and charitable organizations on estates and trusts and wealth-planning issues. Paul previously had counseled manufacturing, mining, cement, and other corporations on a wide range of corporate matters. 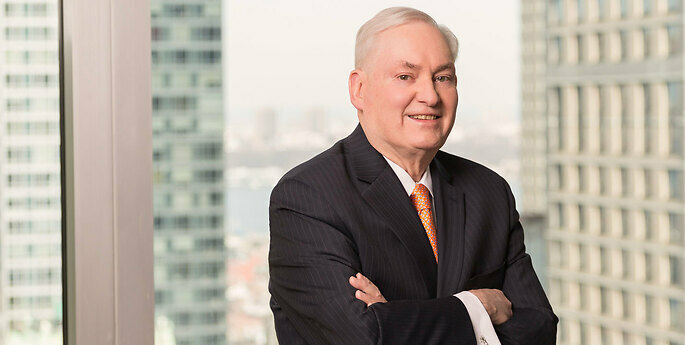 His clients have included major Latin American and European corporations operating in the United States, as well as American corporations operating outside the United States, principally in Latin America and Europe. His experience includes representing U.S. companies in the mining and metals and food processing industries in Brazil, Peru, Chile, and Honduras, and he served as counsel to the trade association of the tire and rubber industry and to several rubber industry shippers associations. Paul has been the chair of the board of trustees of Fordham Preparatory School in the Bronx, New York, and previously he was a trustee of St. Thomas Aquinas College in Sparkill, New York. He currently is a trustee or director and president of several private foundations, including the Arthur and Mae Orvis Foundation, the Charlotte Palmer Phillips Foundation, and S. Forest Company, Inc.